The 2013 SEMI Industry strategy symposium (ISS) was held at its usual time and place – Half Moon Bay CA in January. Lets take a look at some of the inputs from this meeting of heavyweights in the industry. Samsung has been a foundry source now for seven years. Ana Hunter foundry VP for Samsung Semiconductor. 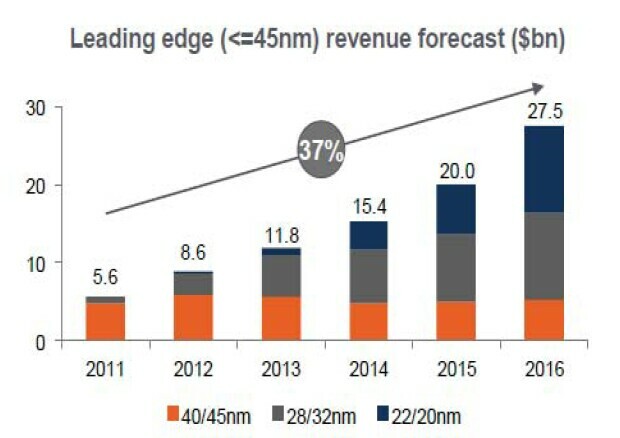 Looking at the continuation of Moores Law Hunter said "28nm could continue on Moores Law without to many issues, at 20 nm you start to see things slowing down, at 14 nm we’re introducing finfet and that will help a lot from transistor capability… Customers are very eager to get the 14nm finfet technology because of the transistor improvements especially low power… We do have shrink scheduled from 20 to 14nm but not on the same curve as Moores Law." 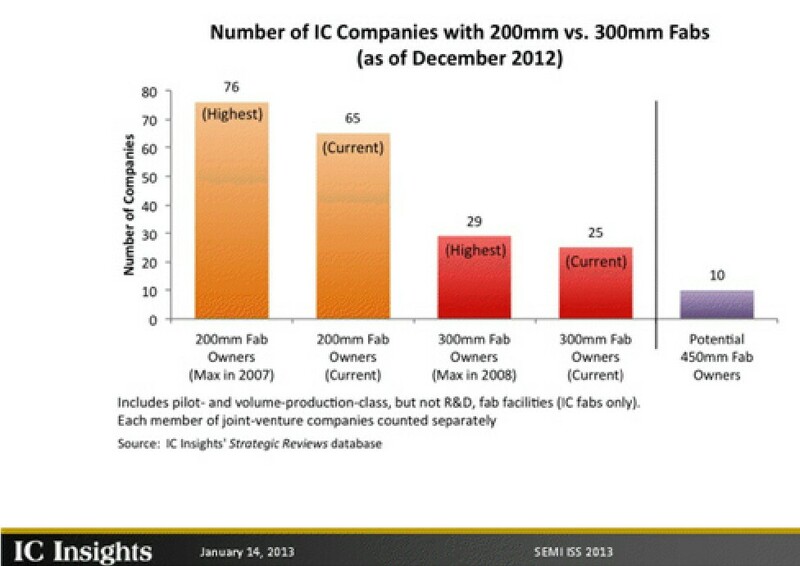 She sees fabs for 20-14nm are in the $9-10B range. In terms of 3D IC Hunter commented that "3D packaging is an area that we are focusing a lot on at Samsung… We are focusing on TSV and wide IO memory for the future… It [3D] has some issues today, but we think that having everything under one roof, we will be able to ring out any problems with the technology and then offer it more broadly outside… we have customers who are quite interested in this technology." Keyvan Esfarjani Intel TMG VP reported on the evolution of flash memory. He concludes that non volatile memory is a “critical enabler for growth in servers, phones, tablets and ultrabooks”. He adds that solid state drives are growing in client and enterprise segments. 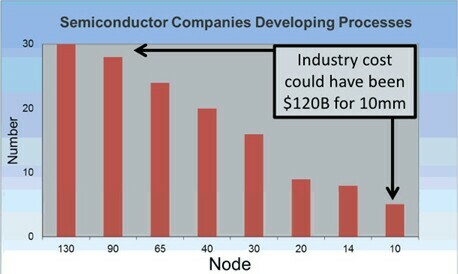 Dan Hutcheson of VLSI Research indicated that 5 total companies can be expected to go down to 10nm for a total development cost of $20B. 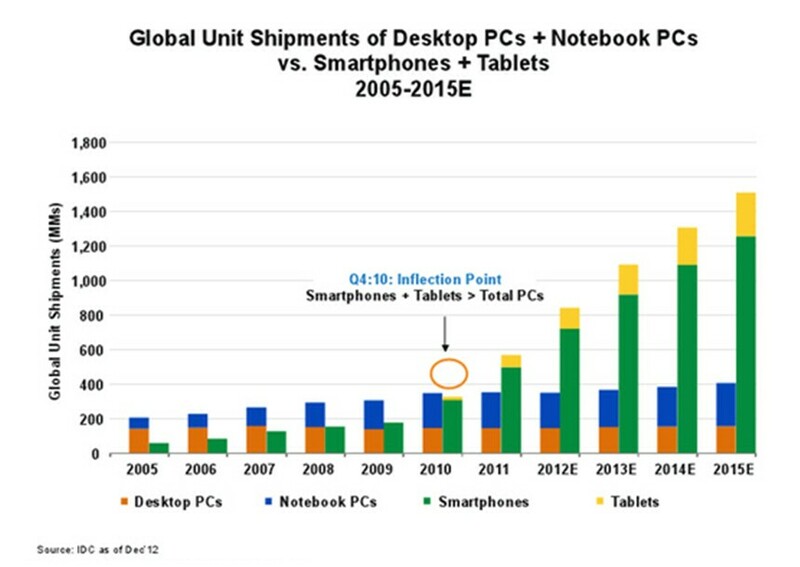 Andy Oberst, Sr VP at Qualcomm used data from IDC to point out that 4Q 2010 was the point where shipments of smartphones and tablets exceeded desktops and notebook PCs. 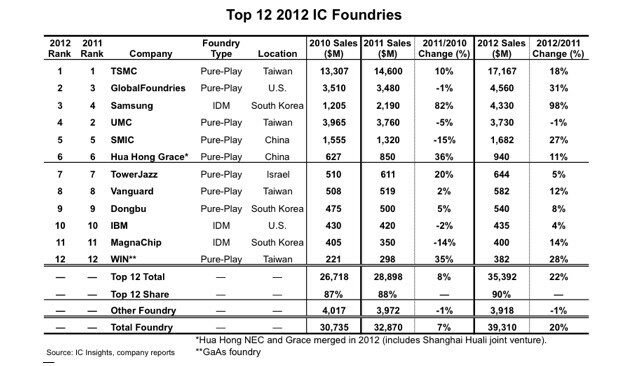 Bill McClean of IC Insights earlier in the week had released his 20012 foundry data showing that UMC had slipped two shots down to fourth and GlobalFoundries and Samsung had both climbed up a notch in the foundry rankings. McClean reported that we are globally down to twenty five 300 mm fabs and face the potential of fewer than ten 450mm fabs in the future. Who says consolidation is not happening? 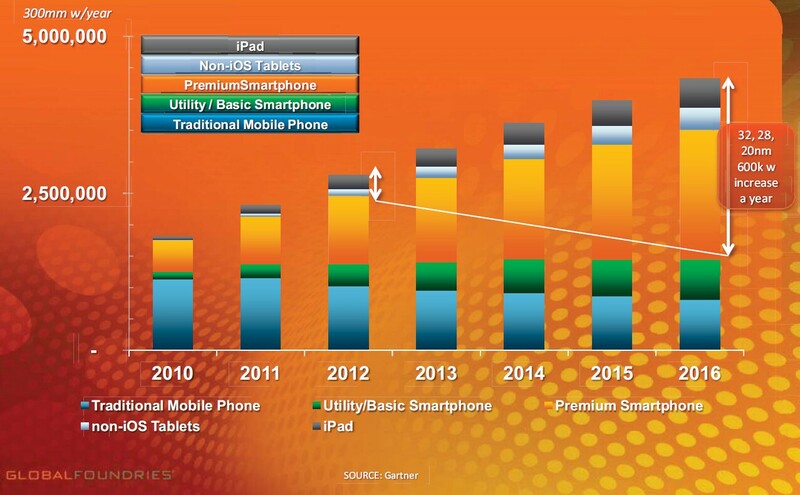 Ajit Manocha, CEO of GlobalFoundries reported that we now had 6+B mobile phones in place for a world population of 7B. GF predicts that the leading edge will drive 60% of total foundry market by 2016 representing a market of $27.5 B. Another consideration is how many 300 mm wafers will be required to supply high end smartphones a few short years from now in 2016. Gartner data shows that in fact this will consume the majority of 300 mm capacity. For all the latest in 3D IC and advanced packaging stay linked to IFTLE…. This entry was posted in Uncategorized on January 28, 2013 by insights-from-leading-edge.